Markdown is two things: (1) a plain text formatting syntax; and (2) a software tool, written in Perl, that converts the plain text formatting to HTML. Why do developers choose Java? Why do you like Java? Why do developers choose Markdown? Why do you like Markdown? What are the cons of using Java? What are the cons of using Markdown? What tools integrate with Java? What tools integrate with Markdown? Most server-side scripts, all unit tests, all build tools, etc. were driven by NodeJS. ExpressJS served as the 'backend' server framework. MongoDB (which stores essential JSON) was the main database. MongooseJS was used as the main ORM for communicating with the database, with KnexJS used for certain edge cases. 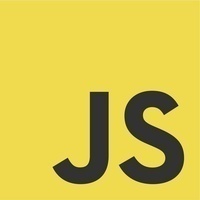 MochaJS, ChaiJS, and ExpectJS were used for unit testing. Frontend builds were done with Gulp and Webpack. Package management was done primarily with npm - with a few exceptions that required the use of Bower (also configured with JSON). The frontend was build primarily with ReactJS (as the View) and Redux (as the Controller / Store / frontend model). Configuration was done with json files. The only notable exceptions were the use of SCSS (augmented by Compass) for styling, Bash for a few basic 'system chores' and CLI utilities required for development of the app (most notably git and heroku's CLI interface), and a bit of custom SQL for locations where the ORM extractions leaked (the app is DB-agnostic, but a bit of SQL was required to fill gaps in the ORMs when interfacing with Postgres). Pretty much everything - Java is reasonably fast, reasonably safe, and reasonably expressive. I wouldn't call it the best at any of those things. The real advantage to me is that the virtual machine is ubiquitous and many people can understand it. Since I have the most experience in this language, it's my tool of choice for most projects. I've also been learning JavaFx so that I can build user interfaces without the web. I've started several single-page-application projects that worked, but felt like workarounds or hacks and would be better-served as self-contained applications. We are now re-considering TypeScript because 1) the tooling has improved significantly, and 2) and the root cause of the majority of our front-end bugs are related to typing (despite having PropTypes). Do I really need to explain? Well to me, the most appealing factor in Java besides the unbelievable community and vast array of available libraries, is just the amount of effort that has been put in the modern JVM. Decades of optimization and improvements have lead to a terrific piece of technology. I admire the people contributed to that. We’re using Markdown parsers for Reviews, Blog Posts, and Stack Description (the text you’re reading right now). We’re using Bootstrap Markdown for content input (except for reviews) and RedCarpet for rendering in certain places. Markdown represents a highly portable and lightweight text formatting. I had converted all of my Wordpress posts to Markdown prior to migrating over to Jekyll and eventually to Hugo. The fact that many generators support Markdown means that my content remains portable regardless of the platform/engine I use. Shouldn't surprise anyone, as minecraft is also java-based. Java is used for much more than just the plugins though. JCVortex (our API) is also served with vert.x (Java) and many of our team-internal tools also originated from java or are still java-applications. The most popular language in the world, definitely every programmer would use the Java language at some point. Frankly, I only use java when it’s a must. I find the language to be a little bit tedious when working with it. What you see is not what you get, never it is. Documentation is better in Markdown format. You don’t need anything special to read it. It is compact, portable, comparable. Markdown is my text file format of choice. 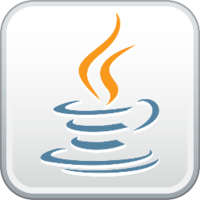 bytelore.com makes extensive use of Java in its applications. We use Java due to its performance, community and the number of other projects built in the language. We have many projects and libraries built in Java. Using StackEdit to edit markdown files for blog roll and about sections. MD files are stored in Google Drive and pushed to GH pages through StackEdit.